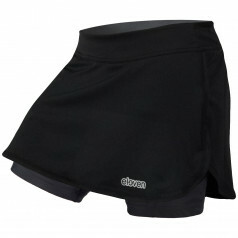 Running skirt is made of durable and lightweight material Fresh. Allows freedom of movement and is perfectly comfortable. It contains a short internal elastic pants with practical zip pocket. Inside pants are topped with silicone rubber for perfect fit.